The fight between Spotify and Apple Music has been heating up for some time, but today things just got ugly — childish even. Citing sources familiar with Spotify strategy, Bloomberg today detailed Spotify’s push to punish artists that release music as an Apple exclusive. Lately, the “exclusive” game has been heating up as popular artists like Kanye West and Taylor Swift release music on other platforms with an exclusivity window. 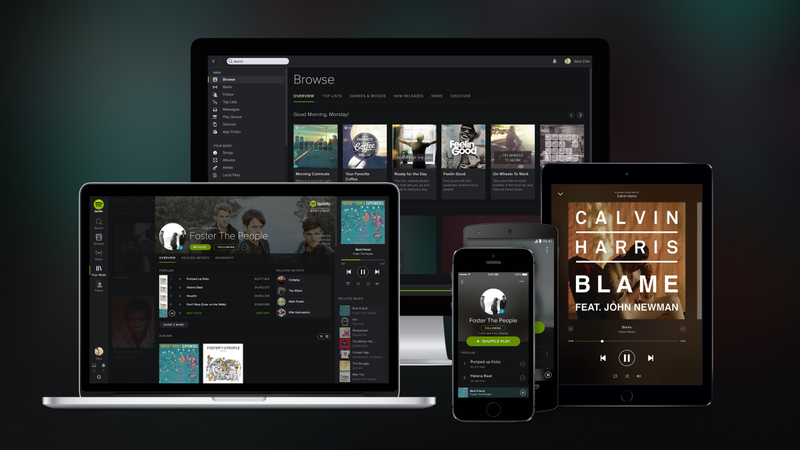 Once the window expires, it comes to Spotify. Now, Spotify is biting back by making these musicians harder to find on its own platform. In the pay-per-play world of online streaming, this limits the amount of money an artist stands to make on the platform and — if anything — should dissuade them from releasing it on Spotify at all — even after their exclusive window ends on another platform. Aside from making artists harder to find in search, Spotify is also telling artists they won’t feature their music on any of its featured playlists. In a world dominated by streaming music, discovery is as important as ever. Limiting exposure through its excellent featured playlists could be damaging to the total number of plays an artist can expect on the platform — which negatively impact their bottom line. It’s hard to argue Spotify isn’t out of bounds. If businesses in other market segments did this, we’d be shouting from the rooftops that they were running afoul of net neutrality guidelines. Yet, that’s a perfect analogy for what Spotify is doing to its artists — prioritizing plays based on who’s willing to play ball. According to Bloomberg’s sources, the practice has been going on for about a year, although some say the effort has intensified in recent months. It’s even extended the policy to include exclusive released to other platforms, like Tidal. We believe long-term exclusives are bad for artists and they’re bad for fans. Artists want as many fans as possible to hear their music, and fans want to hear the music they’re excited about – exclusives get in the way of both. Of course, we understand that short promotional exclusives are common, we don’t have a total policy against them, and we certainly respect the choice of artists to decide what’s right for them.